The `Best Price' Stores offer best prices with unmatched convenience, choice, quality and hygiene. The mission of Best Price is "Enabling businesses to prosper…every single member". Wal-Mart India Private Limited (“Walmart India”) is the wholly owned subsidiary of Walmart Inc., the world’s leading retailer renowned for its efficiency and expertise in logistics, supply chain management and sourcing. Walmart entered India in 2007 and opened its first store in India in Amritsar, Punjab on 29th May, 2009. In 2013, Walmart India became a wholly owned subsidiary of Walmart Inc.
Today, Walmart India owns and operates 24 B2B Cash & Carry stores under the brand name of Best Price Modern Wholesale Stores (“Best Price”) in 9 states across the country. Our business in India is membership-based and we have more than one million members, majority of whom are small resellers and kiranas (mom & pop stores). Other business segments who are our members are hotels, restaurants, offices and institutions. We support them with high quality products at consistent, transparent and competitive prices so that their businesses prosper. Walmart India opened its first Fulfillment Center (FC) in Mumbai in November 2017 to enable kiranas, resellers & other businesses in Mumbai and neighbouring areas to get access to a wide & exciting assortment of merchandise relevant to them without stepping out of their stores. The second FC was opened in 2018. The FCs have been curated keeping in mind the finer nuances of convenience of small resellers, kiranas & other businesses – choice, value and service that they expect – great quality and competitively priced merchandise, doorstep delivery and easy payment solutions. The FCs contribute to the State and local economies by creating over 1500 direct & indirect local jobs, developing SME suppliers, and enabling small businesses to succeed. This model is a definitive step towards building an impactful distribution eco-system. In addition to Cash & Carry business in India, Walmart contributes to the Indian economy in many other ways, including through Global Sourcing Centre and the Technology Centre, Walmart Labs and the most recent investment in Flipkart. Global Sourcing Centre (Bangalore): The global sourcing hub procures non-food products from Indian manufacturers for global markets, further supporting the economy and the ‘Make in India’ initiative. 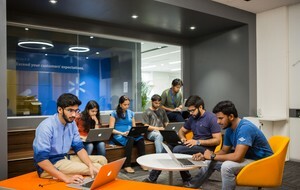 Walmart Labs (Bangalore): The technology centre in Bangalore started in November 2011. Nearly 2000 local engineers and technical experts develop cutting edge solutions, retail technology and support global operations for ensuring operational efficiencies to drive seamless shopping experiences for customers. Best Price offers good availability, competitive pricing and greater margins to help maximize business profits for these segments. In addition, resellers can also benefit from easy payment and delivery solutions. Segments mentioned above can avail advantage of a wide range of assortment, transparent and competitive prices and great member service. We offer a relevant assortment such as office supplies, housekeeping products, electronics, general merchandise and requirements for canteens like FMCG, commodity, grocery, etc. We also provide customized payment solutions to these segments to provide greater convenience and enhance overall buying experience. Some of the star hoteliers and caterers are our prestigious members. Members get the benefit of a wide range of products to suit their needs at competitive and transparent prices, great shopping experience, and convenient payment and delivery solutions. We also have a well-equipped and trained sales team who provide services to business members at their doorstep to enhance their overall experience as `Best Price' members.